﻿NEW TOUR DVD OF THE FINAL RESTING PLACES OF THE STARS. 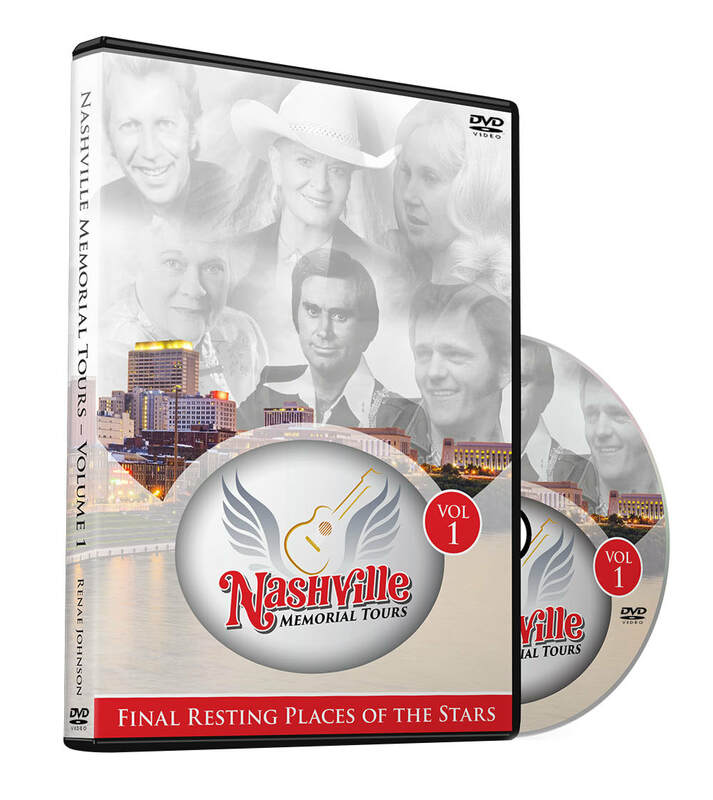 THIS NASHVILLE MEMORIAL TOURS DVD TAKES YOU TO THE GRAVE SITES OF YOUR FAVORITE COUNTRY MUSIC LEGEND WITH RENAE THE WAITRESS AS YOUR GUIDE. IF YOU CAN'T TAKE THE NASHVILLE MEMORIAL TOUR IN NASHVILLE, THEN YOU WILL ENJOY THIS TOUR DVD.